To say that Shelby + Nick's Middleton Place Wedding was a night to remember would be an understatement. As guests arrived at the venue, they were greeted with passed champagne to quench their thirst as they took a stroll through the beautiful gardens to arrive at the Octagonal Garden for the ceremony. The bridesmaids looked totally chic in mismatched black dresses and even the flower girl looked adorable in her custom-made black tutu dress and pearl necklace. As Shelby + her father began their walk down the aisle, Nick looked at his bride with awe and soon after, the couple said their "I Do's" in front of a historic tree with the shimmering lake in the backdrop. After their first kiss, the newlyweds were sent off by their guests waving pom-poms and were picked up by a horse-drawn carriage to finish taking pictures. Cocktail hour was held in the garden overlooking the Butterfly Lakes with a strings duo to set the mood. The bride + groom's signature cocktails, Southern Sweetness served in a mason jar and a Yankee Mule in a copper mug, were a hit and the couple joined cocktail hour just in time to have their first dance at sunset. At the end of their first dance, guests were surprised with a fireworks show over the lake to kick off dinner and the reception. Dinner was served in the Greensward under café lighting with beautiful red and black florals and candelabras with Ferrero Rocher place cards. After dinner, everyone got ready to dance the night away under the reception tent with black and white lounge, mini desserts, and a cigar roller! When the night was over, Shelby + Nick were sent off with a sparkler tunnel and were whisked away in a vintage white Rolls Royce. This Middleton Place Wedding could not have been a more beautiful fall day for Traci + Alex. The clouds cleared just as the ceremony began at the Middleton Oak. This Oak was incredibly special to the couple because it was the same Oak where Alex popped the question! After a heartwarming ceremony, the guests made their way over to the Crane Pool for cocktail hour. A horse drawn carriage brought guests over to the pavilion for an intimate seated dinner. The space was softened by a ceiling of ivory drape and lanterns that hung above the guests as they ate dinner. 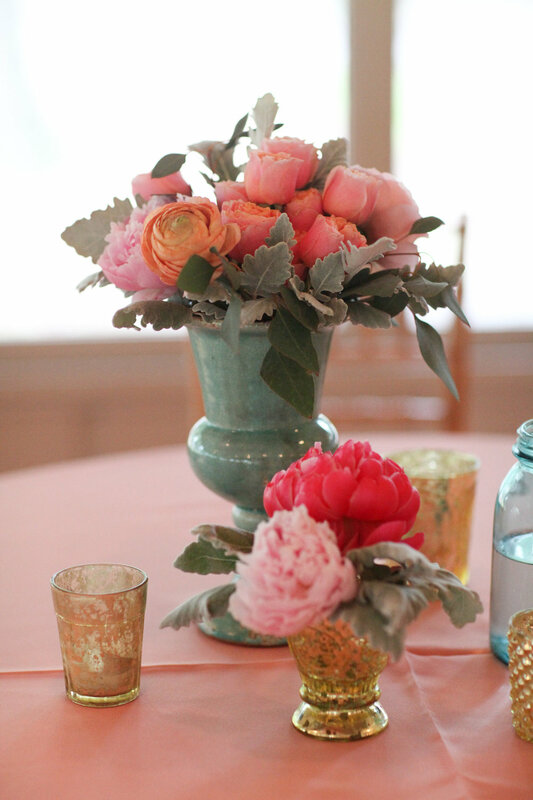 The navy tabletop was the perfect accent for the gorgeous floral centerpieces that stole the show! The lush florals were filled with hues of rust, burgundy, and deep orange to reflect the fall season. Traci's guests loved sitting in the wicker lounge area by the dance floor. They could rest their feet while still being in the center of the action. The unique cakes provided by Jim Smeal were exactly what the couple had envisioned! Alex had a special cake of his own that was designed to look like a hobbit house! Traci + Alex were such a wonderful couple to work with, and we are so happy that we could take part in their big day! 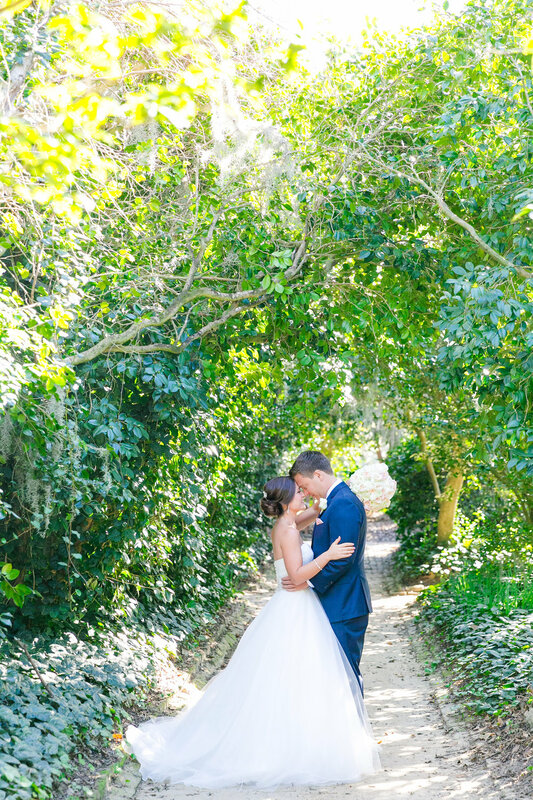 Helen + Aaron's romantic glam Middleton Place wedding was absolutely stunning! 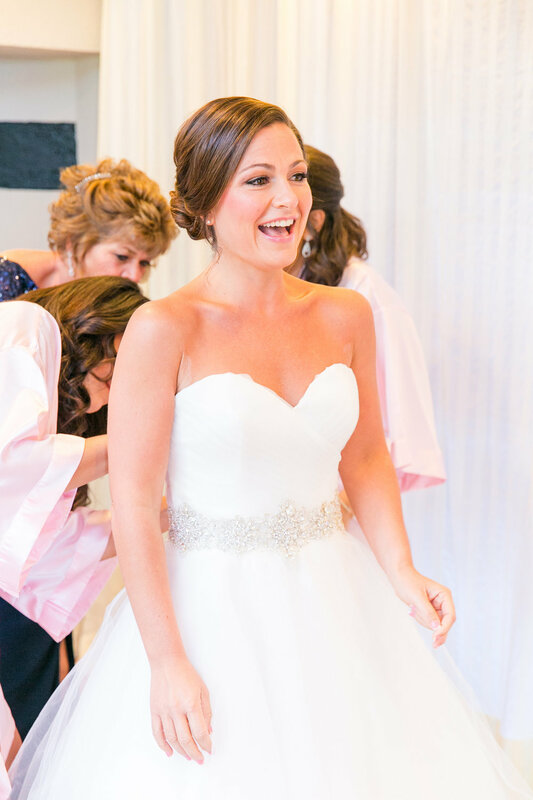 The day began with excitement as Helen and her bridesmaids got their hair + makeup done at the Francis Marion Hotel while Aaron and his groomsmen suited up for the big day on Daniel Island. 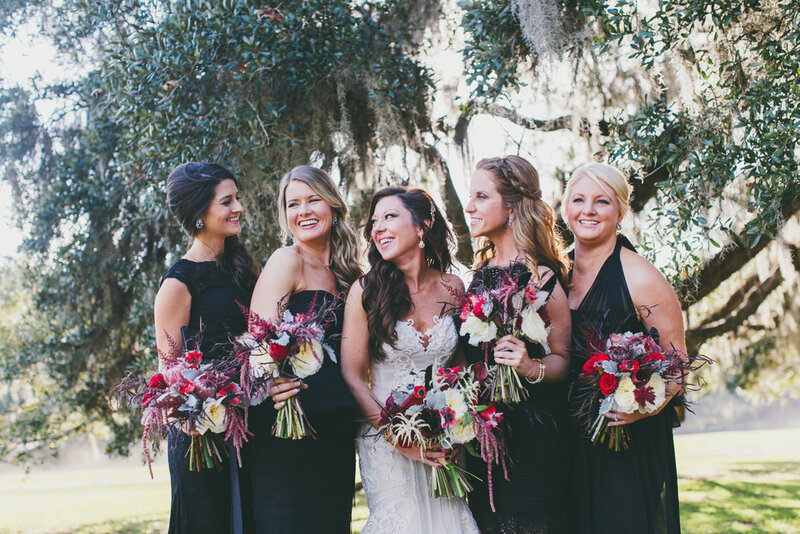 Then, the wedding party all met at Middleton Place for the bride + groom's highly anticipated first look! Aaron was awestruck when he laid eyes on his beautiful bride for the very first time, and the entire wedding party had so much fun photographing on Middleton's gorgeous, lush grounds pre-ceremony. After the signing of the Ketubah and a toast to the soon-to-be Mr. + Mrs., it was time to tie the knot! Luckily, the rain came to a stop just in time for the Helen + Aaron's nuptials in the picturesque Octagonal Gardens. Standing beneath a custom-built huppa by Wild Flowers Inc., the bride + groom said "I do." In traditional Jewish fashion, Aaron smashed the glass and the guests yelled "Mazeltov!" as the new Mr. + Mrs. happily walked down the aisle to an instrumental version of "I'm Yours" by Jason Mraz. Helen + Aaron departed the ceremony via carriage ride to arrive for cocktail hour at the pavilion where they sipped and mingled with guests before it was time to be announced into the reception! Mr. + Mrs. Aaron and Helen Bernie were announced onto the dance floor to the sounds of "Sweet Home Alabama" before sharing their first dance to "I'm Gonna Be (500 Miles)" by Sleeping at Last. Lyrics from this song were incorporated into wedding details such as lounge pillows and custom frames that displayed sweet sayings for the couple. Guests enjoyed a stationed meal by Cru Catering, a special hookah area by Tabbuli, and vintage lounge furniture by Snyder. 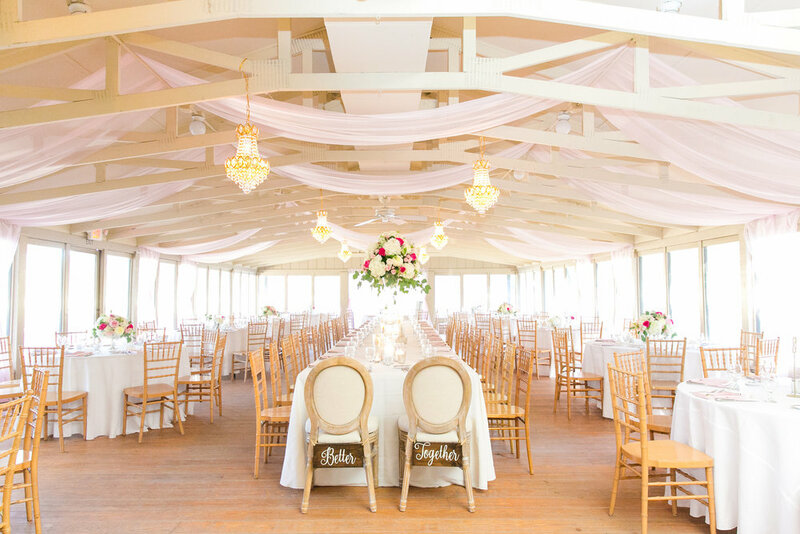 Shades of blush and ivory gave the pavilion a soft ambiance, while the tent outside had an elegant feel complete with platinum drape by Pure Luxe Bride, silver chivari chairs, and a white plantation bar, complete with a custom light-up bar sign. This design was beautiful, and perfect for the occasion! Guests then enjoyed a dessert bar and dancing, including a very special dance to "HORA", where all of Helen +Aaron's family got up into the chair! As the last song of the night approached, everyone got out onto the dance floor for Journey's "Don't Stop Believing" before Mr. + Mrs. Bernie departed through a sparkler archway to their downtown after party! Wishing Helen + Aaron all the best and a big thank you to Trent Bailey for capturing this gorgeous celebration! 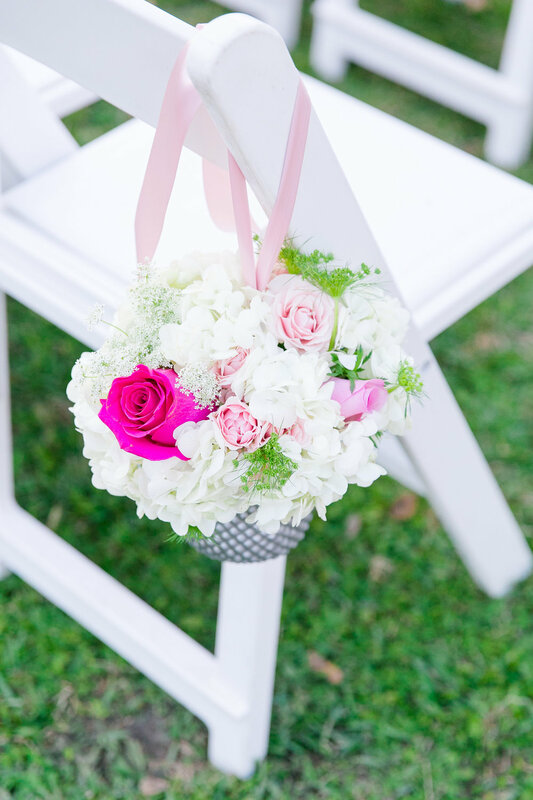 When we think of a classic southern wedding, Lauren and Gentry's Middleton Place wedding immediately comes to mind! These college sweethearts graduated from the College of Charleston and got engaged at the Middleton Place Oak, so it was only fitting for them to invite their friends and family to join them at Middleton Place for their wedding. 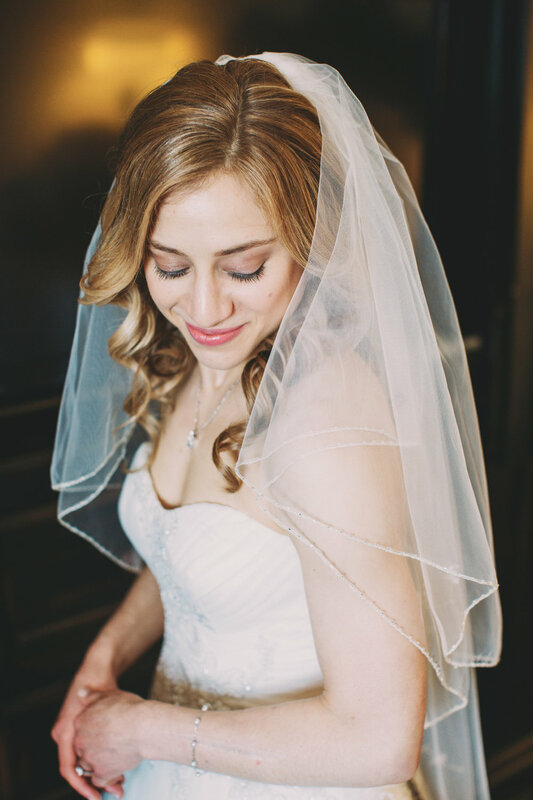 Lauren spent the morning primping at The Inn, and then headed to the plantation for photos before her ceremony with the gardens as her backdrop, and perfectly accentuated her natural beauty and stunning Modern Trosseau lace gown! 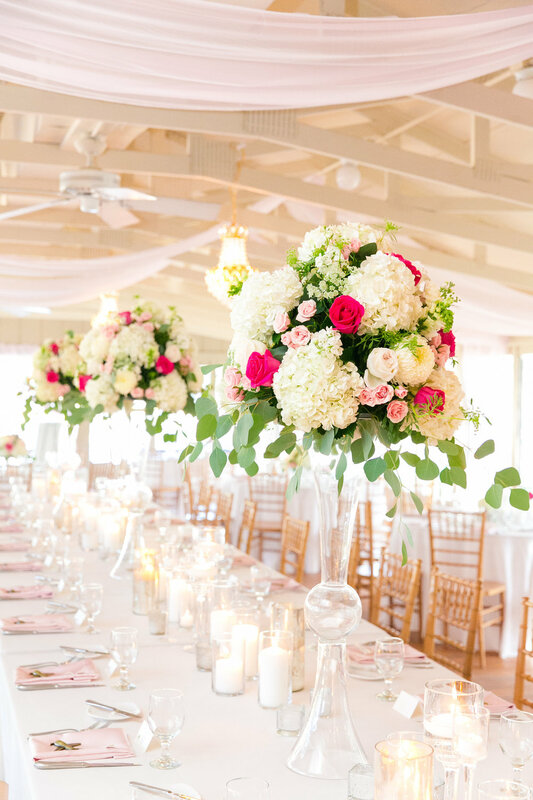 Lauren's flowers and color palate were southern perfection, including charm peonies, amaryllis, dusty miller, succulents, fringe tulips, and peonies. There were tears in everyone's eyes as the ceremony began in the Sundial Garden as Gentry saw his bride for the first time. At the close of a heartfelt ceremony, guests were escorted through the Octagonal Gardens to the Crane Pool for cocktail hour, accompanied by peacocks and lambs! Guests were served classic southern appetizers, including oyster shooters, the grooms favorite! But the party really started at sunset as everyone moved to the Middleton Place Pavilion for dinner and dancing with music accompanied . 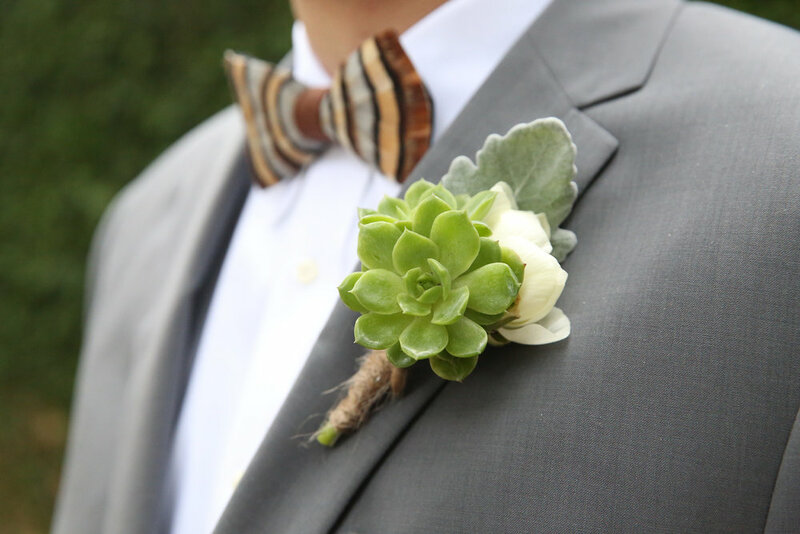 After a touching blessing by our new groom in his stylish brackish bowtie, guests enjoyed an incredible meal and danced the night away. And what's a southern wedding without corn hole for everyone to enjoy and sweet grass flowers as favors! We loved working with Lauren and Gentry throughout their entire planning process, and wish them only the best with their future lives in Texas together! This couple came all the way from England to Charleston for their Middleton Place wedding joined by family and friends. 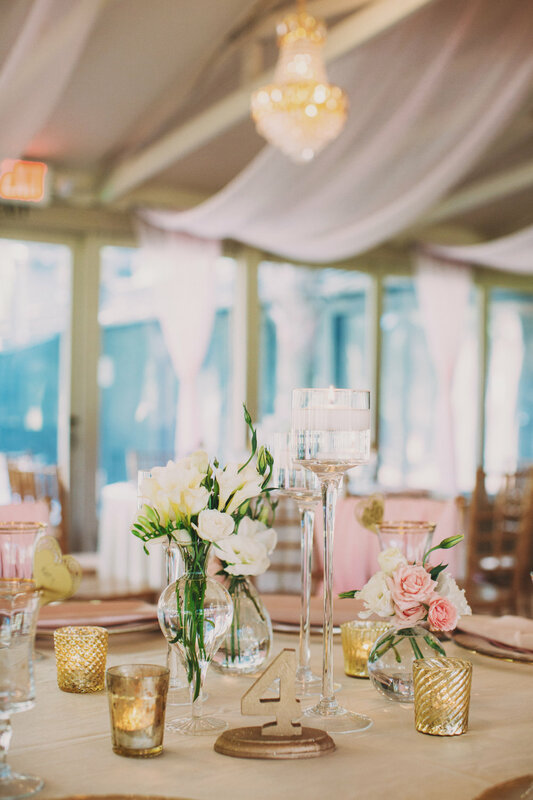 We transformed the pavilion with soft romantic hues, mini gold chandeliers, blush draping, and a gorgeous cake creating the elegant space they dreamed of. The brides bouquet was full of dahlias, lisianthus, roses, peonies and a trailing gold ribbon. The couple said their vows at the octagonal gardens, and then moved to the crane pool to enjoy delicious southern h'ordeuvres including Shepards pie, a British staple! After cocktail hour, guests moved inside the pavilion as the couple shared their first dance as husband and wife preformed acoustically by a close friend. Tasteful stations were provided by Cru catering and pralines were treated to guests as their favor and late night sweet! It was the perfect day for Caroline + Rob, thank you for letting us be a part of it! Jennifer + Paul radiated love as they said "I Do" in front of the butterfly lakes at Middleton Place. The weather was perfect for this small, intimate ceremony that was shared with family and close friends. The two couldn't have looked any more beautiful and in love! The horse drawn carriage picked up the guests as well as the newlyweds and took them across the large plantation to the pavilion, where the reception was being held. Everyone enjoyed cocktail hour and then proceeded inside to the gorgeous wonderland filled with light pinks and plenty of candles. The seating was set up family style, with one long table to accommodate the 40 guests. The sheer white drape hanging above the intimate tabletop was the perfect romantic touch to dinner. Once everyone was seated, the bride + groom entered in and made their first appearance as husband and wife with a dance to "All of Me" by John Legend. Jennifer then requested a special dance with her daughter to "My Girl" by The Temptations. After dinner, Jennifer + Paul cut the stunning pink cake by Delicious Desserts. The cake included lace detail to match the bride's gorgeous gown- stunning! DJ Rob Duren did not disappoint when he played the brides favorite song, The Hokey Pokey. Jennifer as well as many other guests didn't leave the dance floor all night until the couple was ready to depart. 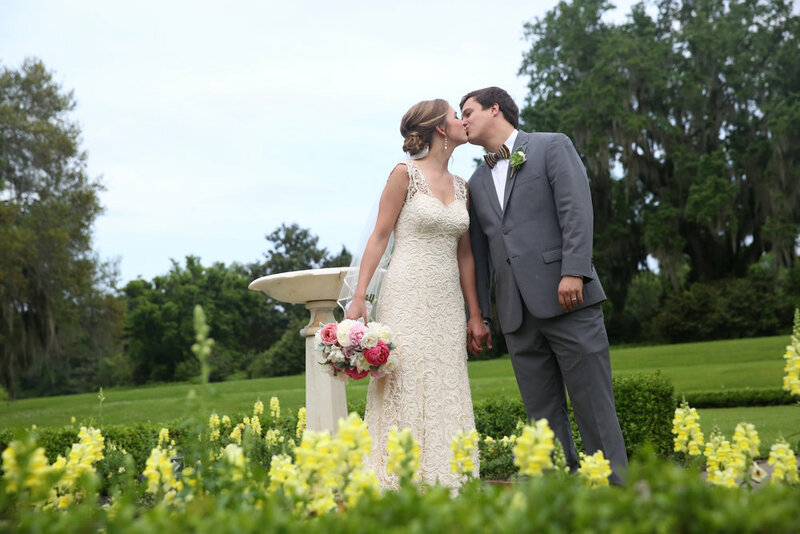 Who doesn’t enjoy a beautiful wedding at Middleton Place? If you haven’t visited this venue, allow us to show you just how gorgeous of a venue it truly is. 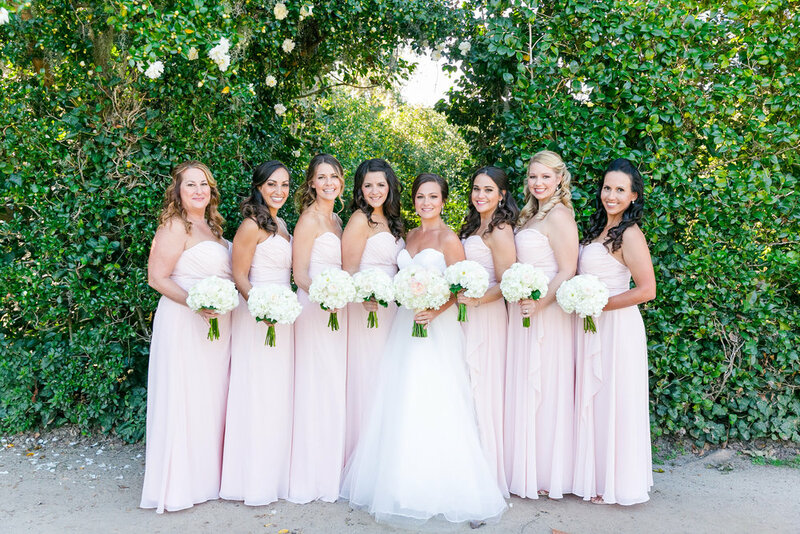 Pure Luxe Bride recently had the pleasure of working with bride and groom Katy and Phil to create a dream wedding at Butterfly Lakes, located on the Middleton Place grounds. This romantic and elegant affair was the perfect celebration of this quirky and fun couples love for each other. We are so pleased that we were able to get to know this couple and celebrate with them at Middleton Place. We hope that you will enjoy taking a peek at their special day as much as we enjoyed being a part of it. 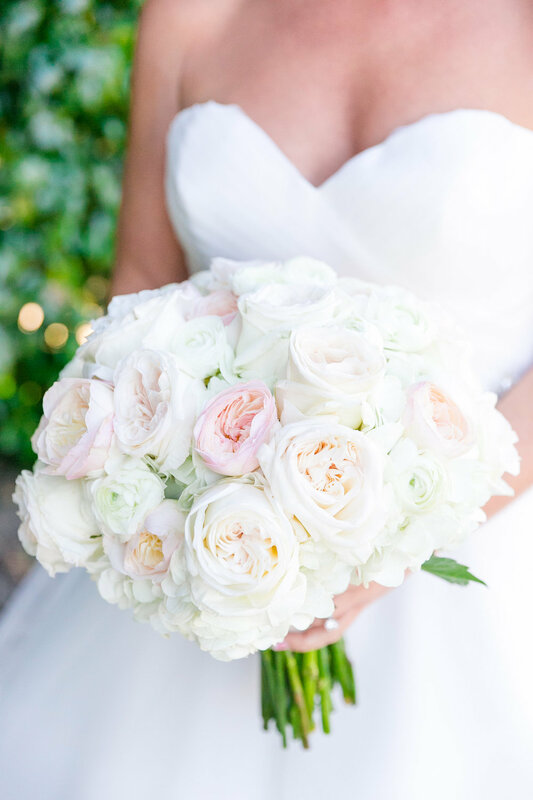 What beautiful shades of ivory, blush, and mint! These neutrals were accented with a gold sparkle, what an elegant touch by our design team. The tent used for the reception was truly gorgeous. With cafe lighting placed inside the tent, in addition to the light color palette, this set-up looked stunning among the beautiful scenery of Middleton Place. Once again, Duvall Catering and Events provided a delicious plated dinner for Katy and Phil’s reception. Guests enjoyed entree’s of either braised beef short ribs, roasted seasonal catch, or seasonal vegetable strudel. What delicious entree choices that guests were able to choose from. No wedding reception is complete without some form of great entertainment! For Katy and Phil’s celebration, FingerSnappin' Entertainment provided tunes from the DJ station. In the south, we sure do love our sweets! Katy and Phil treated guests to home-made pralines. Copper Pot Confections created delicious, hot pralines on site during the reception. What a hit these southern treats were with guests! Birds were incorporated into the decor by having bird names, instead of table numbers, used for locating your table during the reception. There were also bird vases used as vignettes on tables and song birds were used as the toppers on the cake. What a sweet touch! 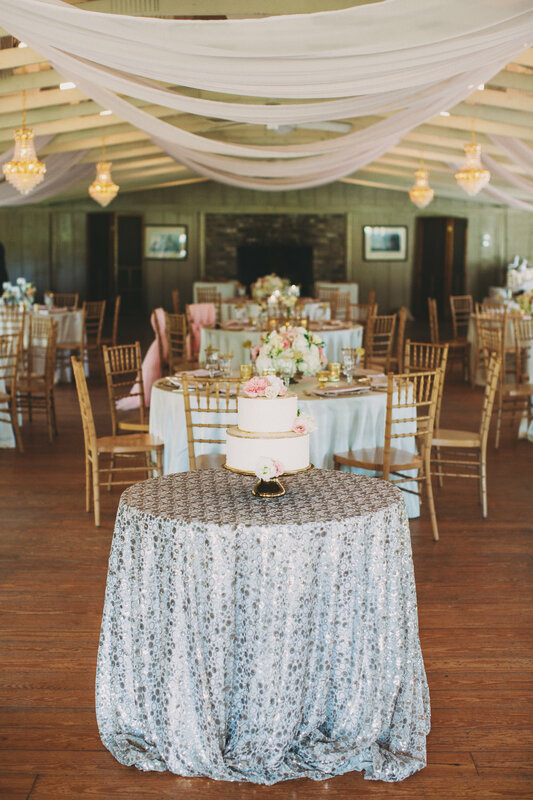 Pure Luxe Bride loved planning and designing this Middleton Place wedding.